On the evening of December 5, 2017, at the Senior Design Capstone Expo, something happened that has never occurred before: Two of the 136 participating teams were announced as tied for overall winners. 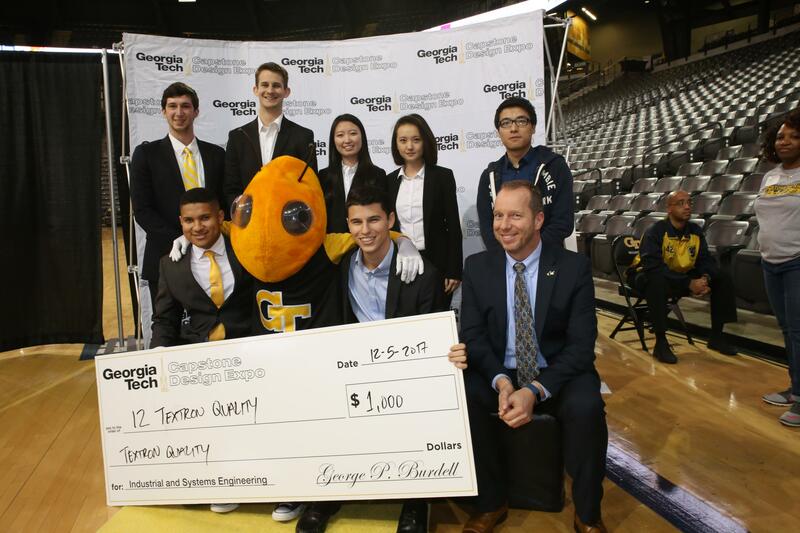 Both teams were from Georgia Tech’s Stewart School of Industrial and Systems Engineering (ISyE). 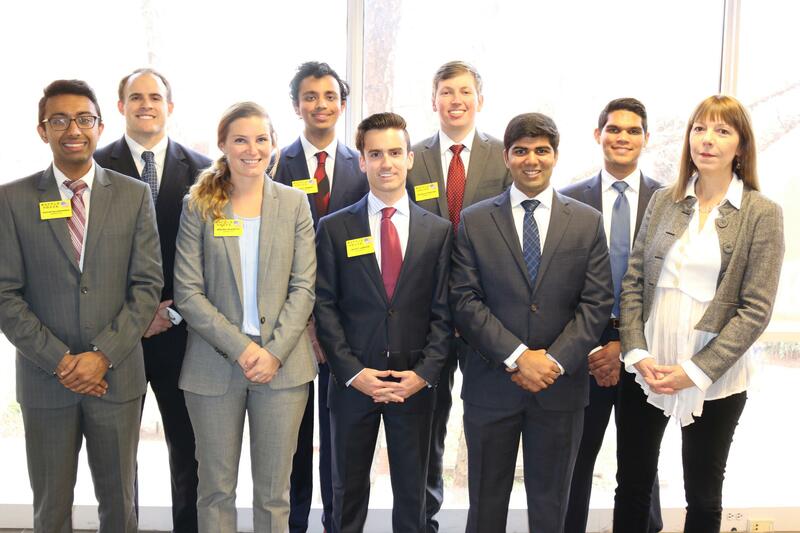 And just a few days later, both Capstone winners – Emory Quality Metrics and Bacon ‘n’ Eggs – were selected from among 20 Senior Design teams as finalists in the ISyE Best of Senior Design, along with team Mercedes-Benz Stadium. Team Bacon ‘n’ Eggs was chosen as the first-place winner in the ISyE competition. Team Bacon ‘n’ Eggs partnered with client Waffle House to identify areas in which their maintenance handling system could be improved. The goal of the project was to help Waffle House uphold their commitment to serving customers 24/7/365 by reducing the frequency, duration, and impact of breakdowns inside units. Their work consisted of several deliverables that together can achieve this goal. First, the team increased the preparedness of technicians in order to expedite time to service and limit breakdown duration. They accomplished this goal by: 1) reassigning technicians geographically to reduce travel time to and from units, and 2) by restructuring the maintenance van inventory model to limit the number of stockout instances upon arrival to units. These two initiatives combined will reduce the duration of breakdowns by seven percent and recapture over 30,000 productive labor hours that can be allocated to increased preventative maintenance. Next, the team reprioritized preventative maintenance routines to ensure more frequent attention to critical appliances inside of units; this work will reduce the frequency of breakdowns by 11 percent. Finally, the team partnered with a third-party maintenance application to pilot a digitized version of the current paper maintenance reporting system. With this application, Waffle House will be able to track the frequency and duration of breakdowns across the system to establish a maintenance culture around performance. The Bacon ‘n’ Eggs team included Roshan Balakrishnan, Melina Blasetti, Christopher Bush, Hasit Dewan, Scott Larson, Nicholas Rogstad, Rikhil Shah, and Viral Shah. They were advised by ISyE Lecturer Gamze Tokol-Goldsman. Team Emory Quality Metrics created a trusted performance benchmarking system. This solution will allow Emory Healthcare to assess its surgeons’ performances and more easily identify parts of their system where they can add value either by improving quality of care or decreasing excess costs. The team utilized the combination of financial and qualitative data from procedures to create linear and logistic regressions that provide a reliable foundation for benchmarking that physicians can trust. These models allowed for an in-depth look at predictors for four critical procedures: colectomies, ventral hernias, carotid endarterectomies, and hepatectomies, and their effect on dozens of different response variables, including direct variable cost, readmission rates, patient length of stay (days between the procedure and discharge), and return to operating room rates. The annual opportunity in potential cost savings identified was $1.43 million, and the opportunity for potential length of stay reductions identified was 940 staying days per year. While this information provided analytics tailored to Emory Healthcare’s patient population, the team established an effective way to communicate this information with the Emory Healthcare community of the Project Management Office (PMO), physicians, administrators, and nurse navigators. An additional goal of the team was to provide an interface that would allow Emory Healthcare to continue to gain insights by drilling down on risk-adjusted surgeon performance, identifying opportunities for value-add by category, and showing which predictors have the greatest effect on the outcome. Their work will be implemented into the design phase of future Value Acceleration Projects (VAPs) at Emory Healthcare that aim to improve quality and decrease costs. Next semester, this initiative will be passed off to a Georgia Tech team of masters students. 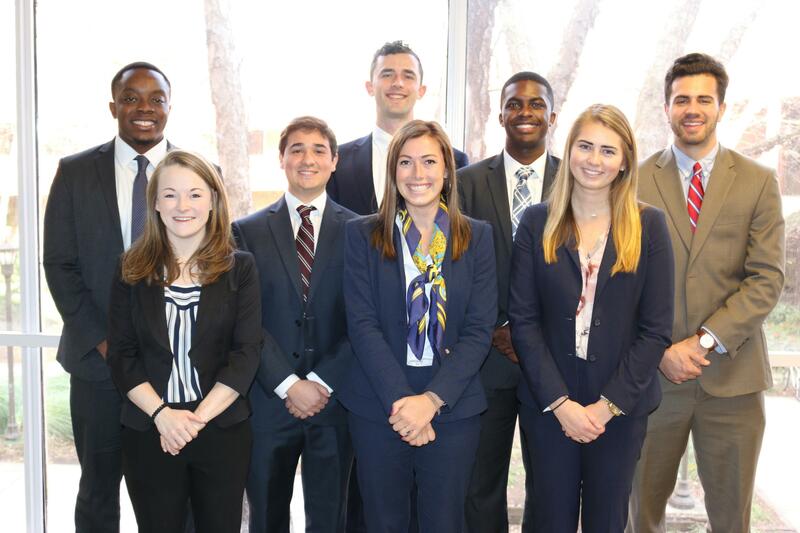 Team members on the Emory Quality Metrics project included Sarah Both, Matthew Creatore, Madeline Gaffney, Alice Jinks, Thomas Ross, Michael Senoo, Nathan Stefanick, and Brandon Wells. They were advised by Professor Renato Montiero. Team Mercedes-Benz Stadium’s client was the new Mercedes-Benz Stadium in Atlanta, Georgia, where the NFL Atlanta Falcons and MLS Atlanta United both play. The project focused on the ways the food and beverage process affects the fan experience at the Mercedes-Benz Stadium. The team developed a standard queue design and an inventory forecasting tool, recommended signage and standard operating procedures, and conducted market research on the use of technology. Their work resulted in a 50 percent reduction in fan wait time throughout the stadium. 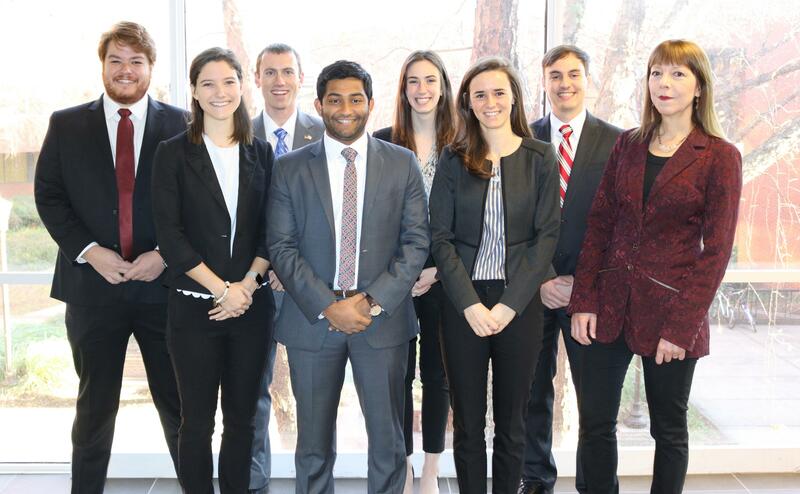 The Mercedes-Benz Stadium team members included Kevin Breslin, Lucy Bullen, Rohan Iyer, Valeria Rossi, Ethan Sailers, Elizabeth Swiger, and John Welch. They were also advised by Tokol-Goldsman. Senior Design team Textron was selected as the ISyE Judges’ Choice at the Capstone Expo. The group worked alongside Textron – an American global aerospace, defense, security, and advanced technologies industrial conglomerate – to improve the throughput of their 660 Belt-Loader production facility in Kennesaw, Georgia. The team balanced the assembly line, as well as designed a system to minimize delays caused by late parts from support stations. These measures increased the maximum throughput of the assembly line by 0.25 vehicles/day, as well as a reduction of delays due to missing parts. Textron team members included Scott Berry, Kerui Cui, Andre Evans, Zhejin Liu, Gordon Nail, Saneel Prabhu, Ji Qi, and Conor Tanzman. They were advised by Associate Professor Santanu Dey.